We have included links to the product on Amazon in case you want to jump in and get that camera sent to your home right away. Let's get right into it. Resolution is sometimes critical when victims of package theft or other crimes are trying to identify the perpetrators. 4K security cameras are making the task of capturing crisp details easier than ever. Still, pricing and clarity of 4K security cameras is still all over the board. We found that higher quality video comes at a bit of a cost, but like the sharpness and video quality of the LaView 4K UltraHD Bullet Smart IP Surveillance Camera. The resolution on this camera is insane at 3840x2160 pixels. Here's a look at how sharp the footage is you can capture with this camera. 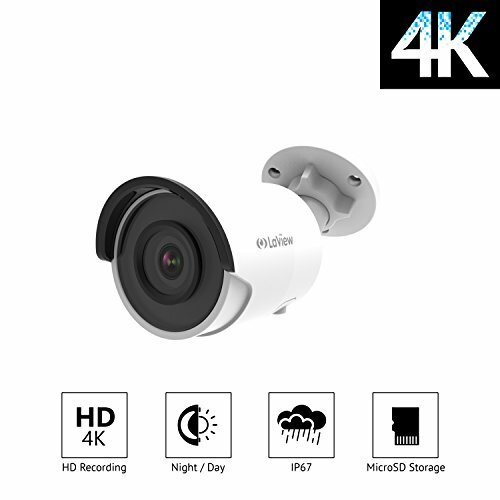 LaView has a home surveillance pack of 4 of the 4k UltraHD Bullet cameras with 2 additional 4K dome cameras and a 3 TB drive to store captured footage which you would need with the large amount of data you would create from as many as six 4K cameras capturing footage at the same time. 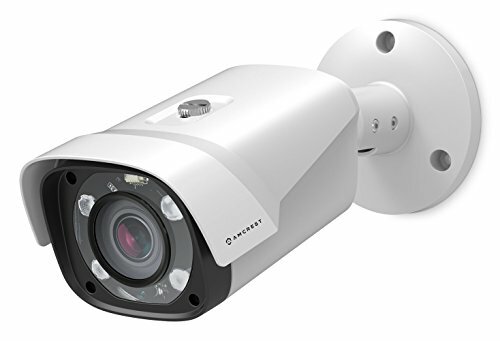 The Amcrest UltraHD 4MP HD outdoor camera captures UHD video that's sharper than many cameras at the same price that are shooting in 720p or 1080p. At $39.99 for those with Amazon Prime, it's just about the cheapest camera we know of that captures a greater-than-HD signal (2688x1520 pixels). This camera takes a ethernet cable which powers the camera; the whole set up is a bit more complex than wireless systems, but a lot of security experts may encourage homeowners to avoid wireless cameras for a number of reasons. Amcrest also sells a 4 channel and 8 channel DVR which can effectively capture and store multiple camera feeds for your home and doorstep. 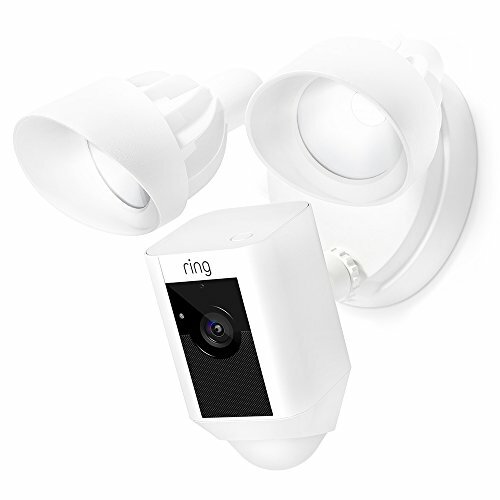 We like any of the outdoor video cameras made by Ring because of how seamlessly they work with Ring's app. Our favorite ring outdoor camera, because of its versatility, is the Ring Floodlight Camera. The camera is motion-activated, captures HD video and has a built-in siren alarm. Additional, the camera has a built-in mic and speaker which allows you to talk to people who the camera captures on your property. Ring updates its app regularly–about once per week–to improve its function and usability. The Ring app functions with all your Ring devices and is heavily used, being rated more than 5,000 times by iOS users. It's available for iPhone, iPad, and Mac users; Ring also provides an app for Android users and Microsoft phone users, so regardless of your phone's operating system, you can download and use Ring's app to control your camera. You will notice in the video below that the app's layout is easy to use, intuitive, and works well with multiple Ring devices. For your battery-powered Ring cameras, the app allows you to check battery life and ensure your cameras are properly working.